Great to read short stories of characters i am familiar with from their books. Added another level of understanding the characters involved. I'm going to review this as I read. 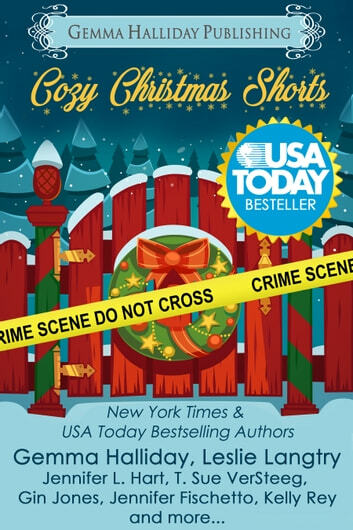 The first story I read was: Have Yourself a Deadly Little Christmas by Leslie Langtry I just loved this story. It is the first I have read by this author but won't be the last. There were moments I was laughing out loud. It is set to the theme of Agatha Christie's And Then There Were None. But such a different take on it. When you read why the victims are being killed, you won't have any sympathy for them. I started to wait about reviewing until I had read all the stories but this one was so good that just this one alone was worth what I paid for the collection! 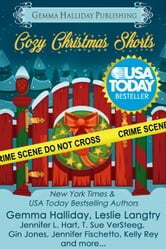 I enjoy reading Christmas mysteries around the holidays and often reread favorite books. These short stories were a nice sample of each author's characters and writing. They're light reading, perfect for relaxing in the midst of holiday chaos.